The Gulf of Naples is a dramatic and alluring corner of the world. From the teeming streets of the city itself, out to the pastel-strewn Amalfi coast, it also takes in the majestic Vesuvius, the ruins of Pompeii and the holiday islands of Capri, Ischia and more. It’s the perfect place for a taste of la dolce vita. Situated in the region of Campania, to the south-east of Rome, Naples sits on the coast surrounded by rugged and natural beauty. Known for its rough-hewn charm, it’s a city that is defiantly itself, and makes little accommodation to others. That’s part of its appeal. The cacophony of Vespas, the marching bands celebrating saints, the streets busy with people, dogs and life. Culture hounds may gravitate to the centro storico, or to the museums and art collections that match anything you’ll find in Florence or Rome. Others will just want to get lost in a maze of narrow streets, balconies leaning so close together overhead they almost kiss. It can make even New York look dozy. Follow your nose and the inevitable lines to the best pizza places in town – after all, it was born here. Cooked in seconds, blistered from the oven, Neapolitan pizza is heaven sent. L’Antica Pizzeria Da Michele is a place of pilgrimage – just two pizzas on offer, snaking queues, peremptory service, pizza to die for. 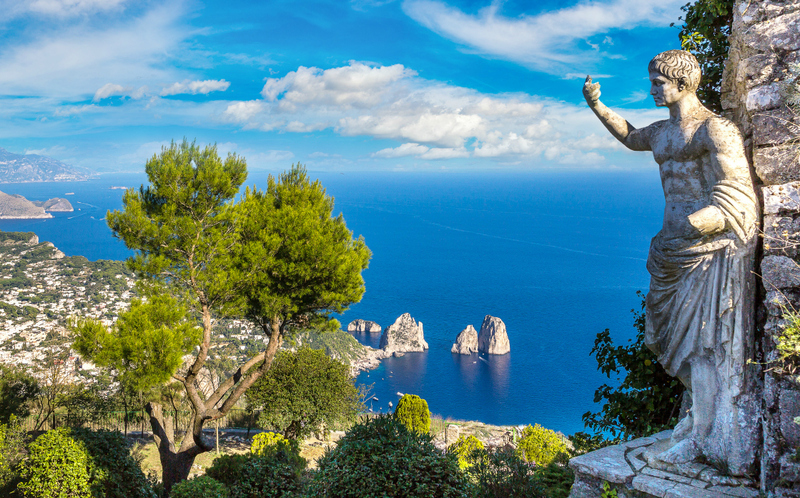 Capri’s prices are not for the faint-hearted, especially if you’re planning an island stay. Many day-trip on ferries and hydrofoils from the mainland, soak up the glamour and return at dusk. It’s an undeniably beautiful island, but also one with a long Roman history – it’s where the emperor Tiberius had villas constructed in the first century AD. Browse the boutiques, try and glimpse a celebrity or sail out to the serenity of the blue grotto. Sorrento draws tourists from around the world for its mix of Italian cool, rocky beaches, fresh seafood and cobbled squares. In the day it’s a place to soak up some sun, at night a people-watching paradise as you stroll down via San Cesareo to Piazza Tasso. Its 15th century cathedral is somewhere to get away from it all, while day-trips further down the coast to Amalfi and Positano are possible with car hire in Naples. Looming over Naples and the coast is Vesuvius, the region’s famed volcano. You can climb its slopes, but you can also relive its history by exploring the preserved buildings and remains at Pompeii and Herculaneum. 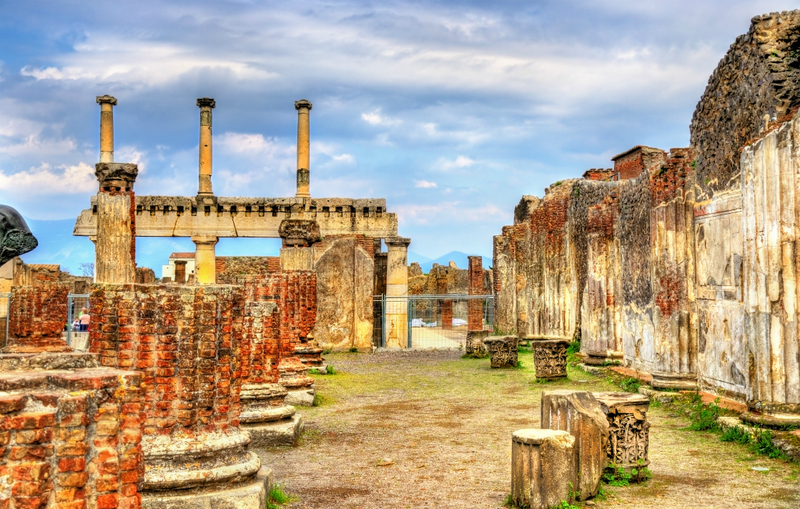 Pompeii is the larger site of the two, a sprawling city with its wonderful amphitheatre, house of mysteries, risqué art and preserved bodies. Herculaneum is perhaps even better preserved, with complete houses, mosaics, gyms, public baths and more. It summons up the atmosphere of Roman life brilliantly. One of the jewels of the Mediterranean, the Gulf of Naples, its cities, towns and islands, are a joy to the senses. Car hire here will allow you to discover this winding coastline in your own time.